Product prices and availability are accurate as of 2019-04-08 20:26:49 EDT and are subject to change. Any price and availability information displayed on http://www.amazon.com/ at the time of purchase will apply to the purchase of this product. 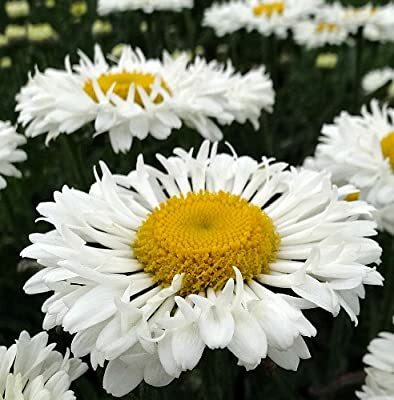 Shasta Daisy 'Real Neat Improved' is a wonderful summer-blooming perennial with gorgeous flower form with multiple rows of perfectly fluted horizontal petals and solid gold centers. Blooms age well and are carried on very strong stems. This variety is very floriferous with improved disease resistance. It prefers well-drained soil in the sunny border. Deadhead to encourage continuous bloom. 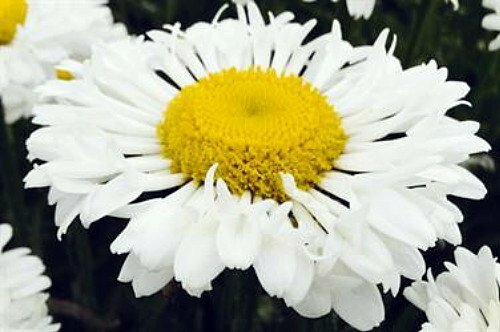 Shasta Daisies are all-time favorites for the perennial border. The cheery flowers begin to appear in late spring and continue on for several months if faithfully deadheaded. Shastas mix so effortlessly with other perennials that no garden should be without them! A plant that is easily grown in average, well-drained soils in full sun. Good drainage is essential for this plant! Mature Height: 24-26" Hardy Zones 5-9 Deer Resistant Months of Bloom: Summer Immediate shipping. Dormant shipping in winter.